We offer a precision engineered range of perfume filling machines manufactured in compliance with relevant industry standards. These machines utilize the latest technology to achieve the highest speeds and most accurately filled bottles. The fillers can accommodate a wide range of bottle size, fill volumes and perfume types. 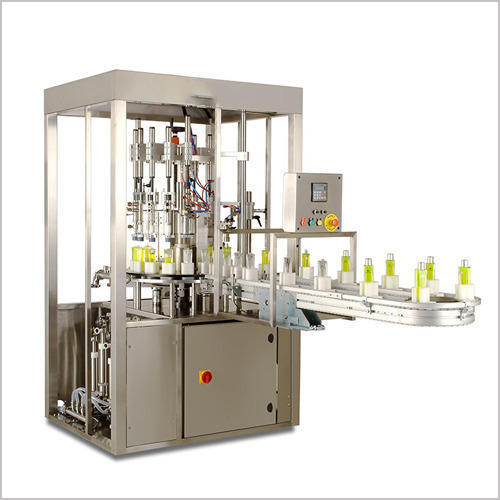 Simple operation and compact design make our perfume filling machine suitable for both small and big production units. In addition to serving as a filler for more delicate product lines, our vacuum filling machines can also be an inexpensive backup unit, eliminating downtime and costly set-ups for small runs. 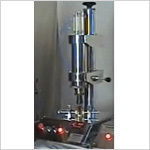 We also provide customization of perfume filling machines based upon the specific requirements of the clients. 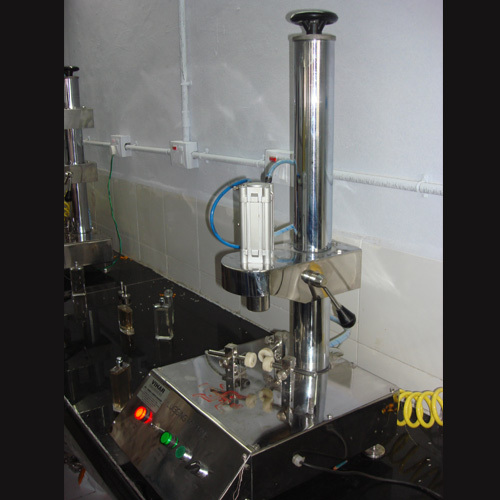 We also provide customization of perfume filling machines based upon the specific requirements of the clients. Our range of Vacuum Filling Machine for Perfumes works on the mechanism of pneumatics & electricity with high automatization. Manufactured using the latest technology, these machines have good adaptability and are an ideal machine for pharmaceutical manufacturers. These machines are manufactured using quality material, ensuring durability and reliability of these perfume filling machines. We offer perfume Crimping Machines with manual and auto mode that are extremely portable and can be mounted on to the table easily. These machines have 32 teeth collet which gives an artistic seal to the atomizer cap on glass bottle. Available in different sizes, our range of machines can be threaded on to machine for different sizes of atomizers. Our range of Crimping Machines can be customized as per client's requirement. We offer Cap Plugging Machines features such as high technology, good adaptability utility. Portable, these machines have high stability and adaptability. 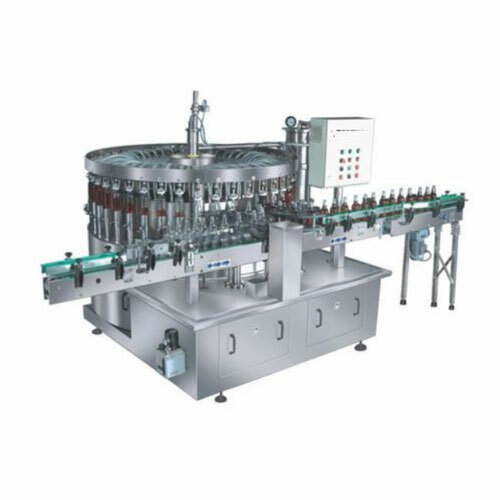 The machine is used for turntable type bottle feeding or automatically screw type bottle feeding, bottle detecting etc.